Fibonacci is one of the most famous names in mathematics. This would come as a surprise to Leonardo Pisano, the mathematician we now know by that name. And he might have been equally surprised that he has been immortalised in the famous sequence – 0, 1, 1, 2, 3, 5, 8, 13, … – rather than for what is considered his far greater mathematical achievement – helping to popularise our modern number system in the Latin-speaking world. The Roman Empire left Europe with the Roman numeral system which we still see, amongst other places, in the copyright notices after films and TV programmes (2013 is MMXIII). The Roman numerals were not displaced until the mid 13th Century AD, and Leonardo Pisano’s book, Liber Abaci (which means “The Book of Calculations”), was one of the first Western books to describe their eventual replacement. Leonardo Pisano was born late in the twelfth century in Pisa, Italy: Pisano in Italian indicated that he was from Pisa, in the same way Mancunian indicates that I am from Manchester. His father was a merchant called Guglielmo Bonaccio and it’s because of his father’s name that Leonardo Pisano became known as Fibonacci. Centuries later, when scholars were studying the hand written copies of Liber Abaci (as it was published before printing was invented), they misinterpreted part of the title – “filius Bonacci” meaning “son of Bonaccio” – as his surname, and Fibonacci was born. Italy at the time was made up of small independent towns and regions and this led to use of many kinds of weights and money systems. Merchants had to convert from one to another whenever they traded between these systems. 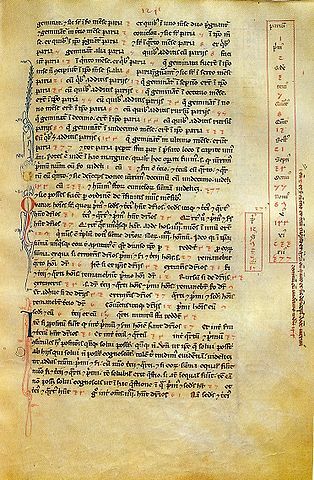 Fibonacci wrote Liber Abaci for these merchants, filled with practical problems and worked examples demonstrating how simply commercial and mathematical calculations could be done with this new number system compared to the unwieldy Roman numerals. The impact of Fibonacci’s book as the beginning of the spread of decimal numbers was his greatest mathematical achievement. However, Fibonacci is better remembered for a certain sequence of numbers that appeared as an example in Liber Abaci. One of the mathematical problems Fibonacci investigated in Liber Abaci was about how fast rabbits could breed in ideal circumstances. Suppose a newly-born pair of rabbits, one male, one female, are put in a field. Rabbits are able to mate at the age of one month so that at the end of its second month a female can produce another pair of rabbits. Suppose that our rabbits never die and that the female always produces one new pair (one male, one female) every month from the second month on. The puzzle that Fibonacci posed was… How many pairs will there be in one year? At the end of the second month the female produces a new pair, so now there are 2 pairs of rabbits. At the end of the third month, the original female produces a second pair, making 3 pairs in all. At the end of the fourth month, the original female has produced yet another new pair, the female born two months ago produced her first pair also, making 5 pairs. which is simply the rule for generating the Fibonacci numbers: add the last two to get the next. Following this through you’ll find that after 12 months (or 1 year), there will be 233 pairs of rabbits. The rabbit problem is obviously very contrived, but the Fibonacci sequence does occur in real populations. Honeybees provide an example. In a colony of honeybees there is one special female called the queen. The other females are worker bees who, unlike the queen bee, produce no eggs. The male bees do no work and are called drone bees. Males are produced by the queen’s unfertilised eggs, so male bees only have a mother but no father. All the females are produced when the queen has mated with a male and so have two parents. Females usually end up as worker bees but some are fed with a special substance called royal jelly which makes them grow into queens ready to go off to start a new colony when the bees form a swarm and leave their home (a hive) in search of a place to build a new nest. So female bees have two parents, a male and a female whereas male bees have just one parent, a female. Let’s look at the family tree of a male drone bee. He has 1 parent, a female. He has 2 grandparents, since his mother had two parents, a male and a female. He has 3 great-grandparents: his grandmother had two parents but his grandfather had only one. How many great-great-grandparents did he have? Bee populations aren’t the only place in nature where Fibonacci numbers occur, they also appear in the beautiful shapes of shells. To see this, let’s build up a picture starting with two small squares of size 1 next to each other. On top of both of these draw a square of size 2 (=1+1). We can now draw a new square – touching both one of the unit squares and the latest square of side 2 – so having sides 3 units long; and then another touching both the 2-square and the 3-square (which has sides of 5 units). We can continue adding squares around the picture, each new square having a side which is as long as the sum of the latest two square’s sides. This set of rectangles whose sides are two successive Fibonacci numbers in length and which are composed of squares with sides which are Fibonacci numbers, we will call the Fibonacci Rectangles. If we now draw a quarter of a circle in each square, we can build up a sort of spiral. The spiral is not a true mathematical spiral (since it is made up of fragments which are parts of circles and does not go on getting smaller and smaller) but it is a good approximation to a kind of spiral that does appear often in nature. Such spirals are seen in the shape of shells of snails and sea shells. 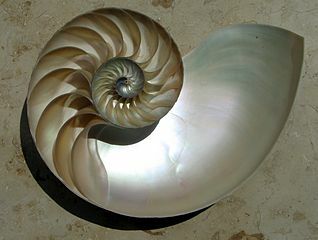 The image below of a cross-section of a nautilus shell shows the spiral curve of the shell and the internal chambers that the animal using it adds on as it grows. The chambers provide buoyancy in the water. Fibonacci numbers also appear in plants and flowers. Some plants branch in such a way that they always have a Fibonacci number of growing points. Flowers often have a Fibonacci number of petals, daisies can have 34, 55 or even as many as 89 petals! A particularly beautiful appearance of fibonacci numbers is in the spirals of seeds in a seed head. The next time you see a sunflower, look at the arrangements of the seeds at its centre. They appear to be spiralling outwards both to the left and the right. At the edge of this picture of a sunflower, if you count those curves of seeds spiralling to the left as you go outwards, there are 55 spirals. At the same point there are 34 spirals of seeds spiralling to the right. A little further towards the centre and you can count 34 spirals to the left and 21 spirals to the right. The pair of numbers (counting spirals curving left and curving right) are (almost always) neighbours in the Fibonacci series. Nature seems to use the same pattern to arrange petals around the edge of a flower and to place leaves round a stem. What is more, all of these maintain their efficiency as the plant continues to grow and that’s a lot to ask of a single process! So just how do plants grow to maintain this optimality of design? Botanists have shown that plants grow from a single tiny group of cells right at the tip of any growing plant, called the meristem. There is a separate meristem at the end of each branch or twig where new cells are formed. Once formed, they grow in size, but new cells are only formed at such growing points. Cells earlier down the stem expand and so the growing point rises. Also, these cells grow in a spiral fashion: it’s as if the meristem turns by an angle, produces a new cell, turns again by the same angle, produces a new cell, and so on. These cells may then become a seed, a new leaf, a new branch, or perhaps on a flower become petals and stamens. The leaves here are numbered in turn – each is exactly 0.618 of a clockwise turn (222.5°) from the previous one. The amazing thing is that a single fixed angle of rotation can produce the optimal design no matter how big the plant grows. The principle that a single angle produces uniform packings no matter how much growth appears was suspected as early as last century but only proved mathematically in 1993 by Stéphane Douady and Yves Couder, two french mathematicians. Making 0.618 of a turn before producing a new seed (or leaf, petal, etc) produces the optimal packing of seeds no matter the size of the seed head. But where does this magic number 0.618 come from? If you plot a graph of these values you’ll see that they seem to be tending to a limit, which we call the golden ratio (also known as the golden number and golden section). Ratio of successive Fibonacci terms. It has a value of ( approximately 1.618034) and is often represented by a Greek letter Phi, written as . The closely related value which we write as , a lowercase phi, is just the decimal part of Phi, namely 0.618034… ( ), the number that accounts for the spirals in the seedheads and the arrangements of leaves in many plants. But why do we see phi in so many plants? The number Phi (1.618034…), and therefore also phi (0.618034…), are irrational numbers: they can’t be written as a simple fraction. Let’s see what would happen if the meristem in a seed head instead turned by some simpler number, for example the fraction 1/2. After two turns through half of a circle we would be back to where the first seed was produced. Over time, turning by half a turn between seeds would produce a seed head with two arms radiating from a central point, leaving lots of wasted space. A seed head produced by 0.5=1/2 turns between seeds: alternate seeds line up. A seed head produced by 0.48=12/25 turns between seeds: the seeds form two revolving arms. A seed head produced by 0.6=3/5 turns between seeds: the seeds form 5 straight arms. Something similar happens for any other simple fraction of a turn: seeds grow in spiral arms that leave a lot of space between them (the number of arms is the denominator of the fraction). So the best value for the turns between seeds will be an irrational number. But not just any irrational number will do. For example, the seed head created with pi turns per seed seems to have seven spiralling arms of seeds. This is because 22/7 is a very good rational approximation of pi. What is needed in order not to waste space is an irrational number that is not well approximated by a rational number. And it turns out that Phi (1.618034…) and its decimal part phi (0.618034…) are the “most irrational” of all irrational numbers. (You can find out why in Chaos in number land: the secret life of continued fractions.) This is why a turn of Phi gives the optimal packing of seeds and leaves in plants. It also explains why the Fibonacci numbers appear in the leaf arrangements and as the number of spirals in seedheads. Adjacent Fibonacci numbers give the best approximations of the golden ratio. They take turns at being the denominator of the approximations and define the number or spirals as the seed heads increase in size. How did so many plants discover this beautiful and useful number, Phi? Obviously not from solving the maths as Fibonacci did. Instead we assume that, just as the ratio of successive Fibonacci numbers eventually settles on the golden ratio, evolution gradually settled on the right number too. The legacy of Leonardo Pisano, aka Fibonacci, lies in the heart of every flower, as well as in the heart of our number system. If you have enjoyed this article you might like to visit Fibonacci Numbers and the Golden Section. This article is based on material written by Dr R. Knott, who was previously a lecturer in the Department of Computing Studies at the University of Surrey. Knott started the website on Fibonacci Numbers and the Golden Section back in 1996 as an experiment at using the web to inspire and encourage more maths investigations both inside and outside of school time. It has since grown and now covers many other subjects, all with interactive elements and online calculators. 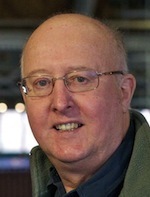 Although now retired, Knott still maintains and extends the web pages. He is currently a Visiting Fellow at the University of Surrey and gives talks all over the country to schools, universities, conferences and maths societies. He also likes walking, mathematical recreations, growing things to eat and cooking them. NextSuns of God: The Orion Revelation – Awesome Article!